Main opposition Republican People's Party (CHP) Izmir Deputy Aytun Çıray resigned from his party Monday to join a new political formation led by former Nationalist Movement Party (MHP) dissident Meral Akşener. He announced the decision after discussing the matter with CHP Chairman Kemal Kılıçdaroğlu at the party headquarters in Ankara. Çıray later released a written statement, saying that the current political environment needs a center-right party, which he described as the "National Center." "On Oct. 25, I will be among the founders of the party led by Ms. Meral Akşener," Çıray said. Akşener, along with some other prominent figures, was expelled from the MHP for her heavy criticism over Chairman Devlet Bahçeli's policies after the general elections on June 7 and Nov. 1, 2015. Throughout the summer Akşener, along with other prominent dissidents Ümit Özdağ and Koray Aydın, launched the process to form a new political party of which she will be the leader, and a possible presidential candidate in the 2019 elections. Along with four other lawmakers who were expelled from the MHP, Çıray is expected to be the fifth lawmaker who will represent the new party in parliament. Reports suggest that the CHP, which aims to become the umbrella party for opponents of Erdoğan and the AK Party in 2019, is worried about the rise of Akşener's movement, which appeals to secular nationalist and center-right votes in western Turkey. Çıray, a former doctor and Ministry of Health official well known to locals in his native Izmir, was chosen as a deputy from the center-right True Path Party (DYP) in 1995 and the Motherland Party (ANAP) in the 2002 parliamentary elections before joining the center-left CHP. He was elected to parliament in the 2011 and 2015 elections. 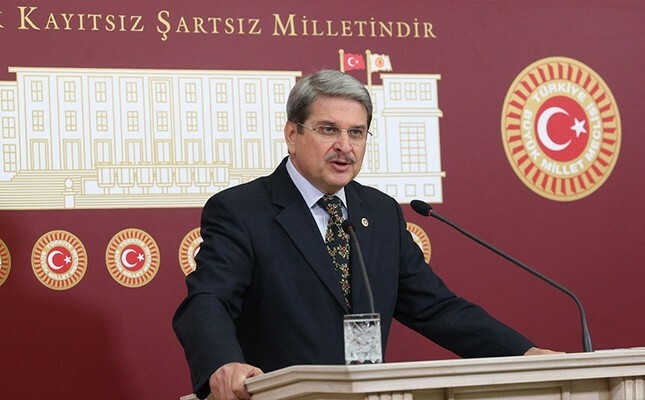 However, CHP officials argue that the effect of Çıray's departure will be minimal, and that he wanted to take a shot in Akşener's party since he would have to participate in CHP primaries for 2019, unlike previous elections in which he was nominated from the party quota.